How much of a Madness : I finished this book in short time. The anger and frustration. An alpha male a SEAL, badly injured, feeling so lost and incomplete, fueled by anger to hunt the people who responsible with what happened to his team. The stubborness, although I wanted to slap him most of the time, I still adore this man. The banter between all the characters, it always put a smile on my face. The action and mystery, I keep guessing everything, I can’t stop from the first chapter. The love, the sweet flirting moments between Kat and Badger. Level of this Madness Recommendation : IT’S A MUST-READ MILITARY SUSPENSE ROMANCE BOOK. When Badger Horley, a SEAL, and the rest of his eight-man unit hit an antitank landmine on a routine reconnaissance mission, all were badly injured, but one of his men died. Having only joined a year before, he’d been the youngest member of the squad. Mouse left behind unanswered questions about his life…along with seven team members who aim to see that his tragic death is brought home to those responsible. Badger’s path back to health is a long and difficult one, but revenge drives him out of bed every single day of his life. Someone modified orders the morning of the incident, sending his unit straight over that landmine. At the time the altered route had been given to him, he’d been curious but not unduly concerned. What happened to his squad has brought unwavering clarity: Those last-minute changes and the explosion that shattered his team were deliberate–and he means to catch the perpetrator if it’s the last thing he ever does. shards…while all she wants is a future happily-ever-after with him. 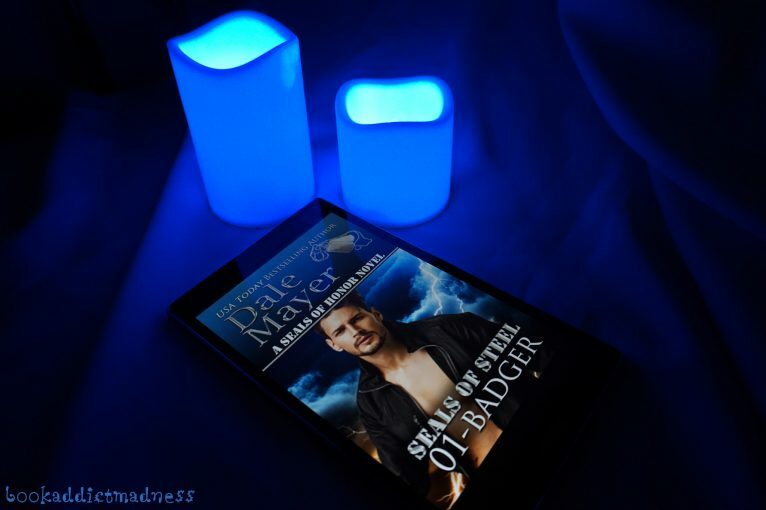 Kat has a long road ahead of her to convince Badger a life filled with love is always preferable to answers that can only be gained at the risk of dying to get them.